Here are the days of the Chol Q’ij mapped onto the Gregorian month of August 2018. There are many important events during this time. 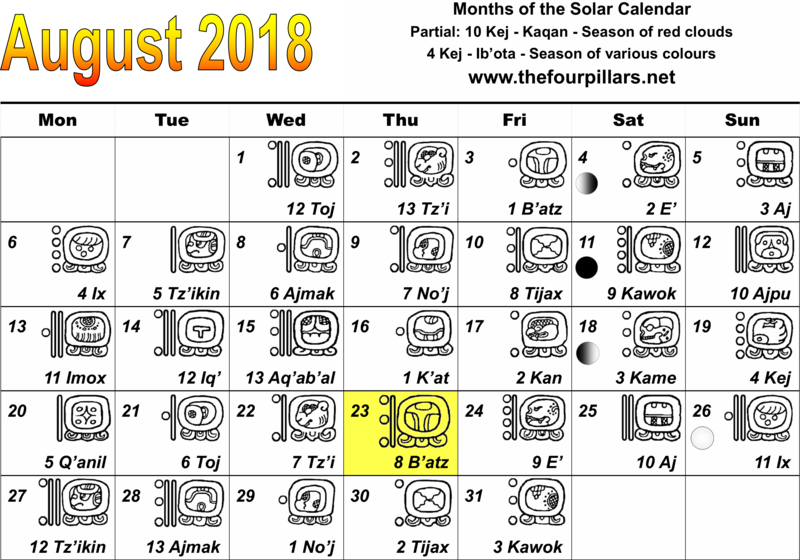 We have a partial solar eclipse on 9 Kawok (11th August), followed by the Sun’s zenith transit here in Guatemala on 11 Imox (13th August). Venus will reach its greatest altitude in the evening sky (eastern elongation) on 2 Kan (17th August). 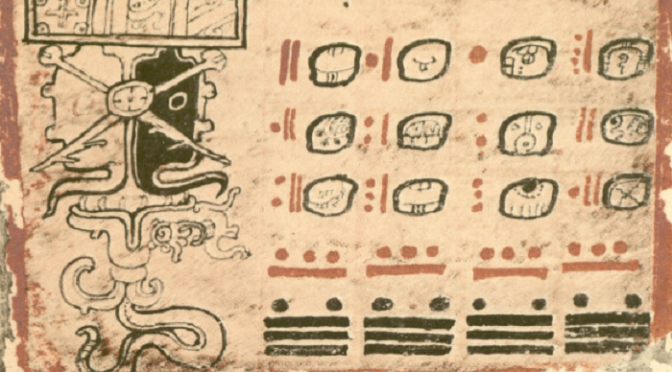 The most important day within the sacred calendar, Wajxakib (8) B’atz occurs on August 23rd and sacred fires will be made throughout Guatemala to celebrate the day of the sacred calendar itself, and the day of those who work with it, the Aj Q’ij’ab.